Celebrity Jacket always tends to impress a lot of people and these days the trend of manufacturing trendy and stylish Celebrity Jacket has been floating along like anything. 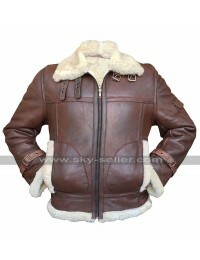 This RAF B3 Jacket has been manufactured using the best quality leather finished choice to go for. 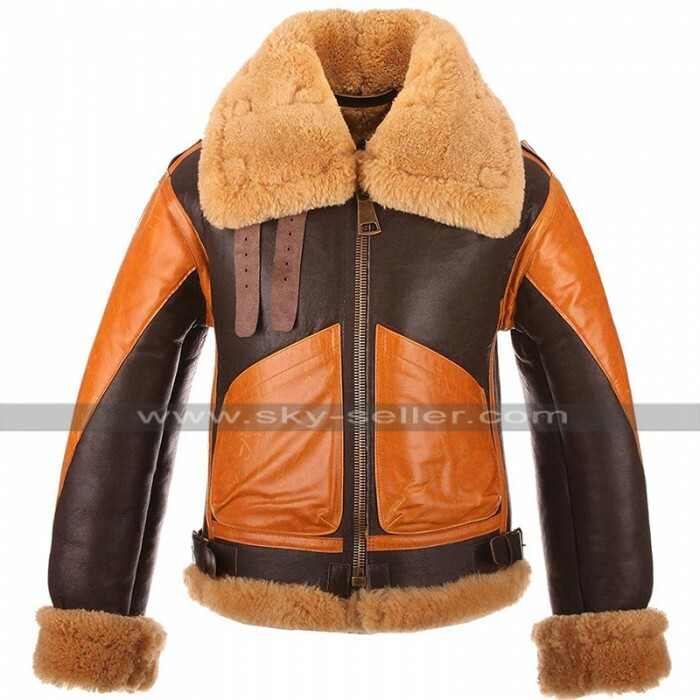 The major aspect of this B3 Aviator Jacket which makes it look different from every other kind of a jacket is the color combination of the jacket which is brown and orange. 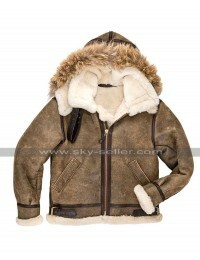 This B3 Brown Leather Jacket has a front closure of zipping and there are pockets on the sides. 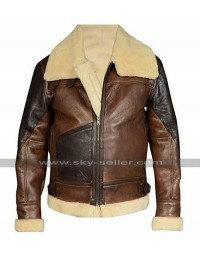 The sleeves of this RAF B3 Leather Jacket are full in length and the inner has been featured with the viscose material. The waistline of this B3 Fur Shearling Jacket is belted, the collars are also featured with the fur based finish and the jacket is very much a trendy choice to go for. 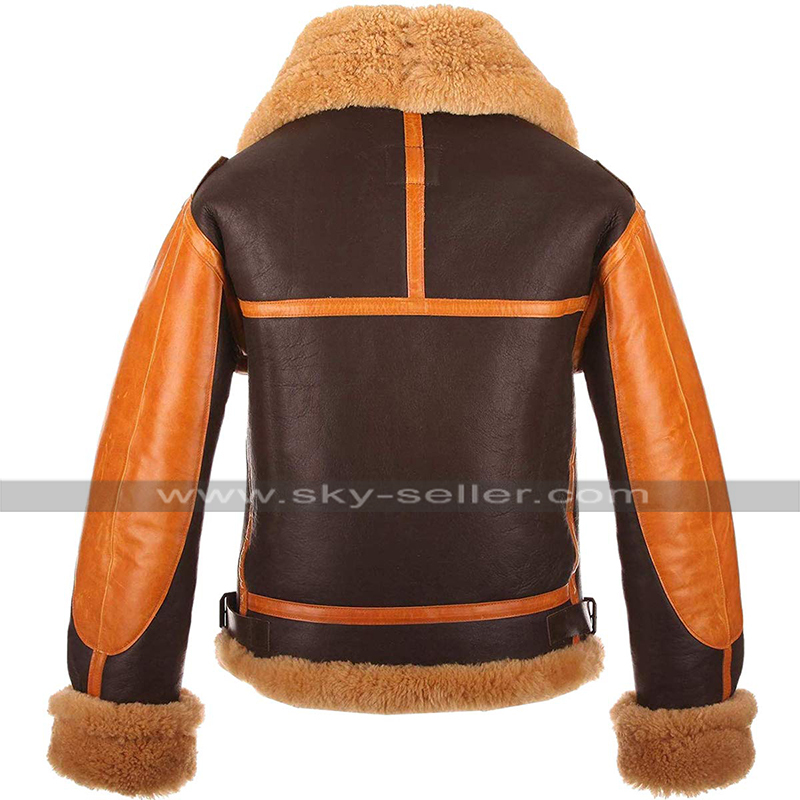 This B3 Belted Brown Leather Jacket has various sizes to go for and the buyers also have a choice to get their own size customized. This B3 Leather Brown Jacket is a perfect choice to be carried causally everywhere all the times. 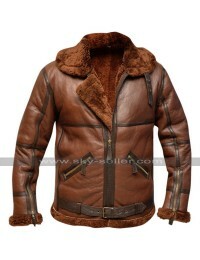 This B3 Brown Leather Jacket is very comfortable and has an interesting finish of stitching too.